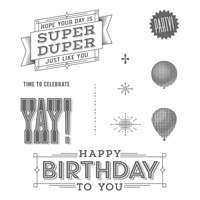 The Super Duper Birthday Stamp Set went well with my Pick a Pattern Designer Series Paper. The sentiment was large enough that when placed onto my paper I didn't need to add a lot of embellishments. 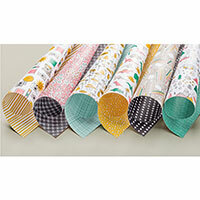 This way the fun design in the paper stood out at the same time. 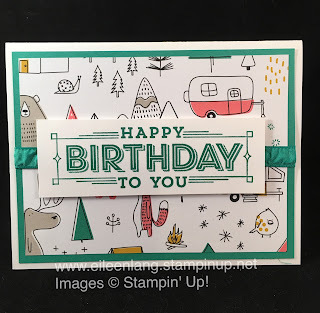 I also used some coordinating Emerald Envy Ink, card stock and retired ribbon to add to my layers, and I just cut the layer with my sentiment out by hand and placed it onto my card using Dimensionals. 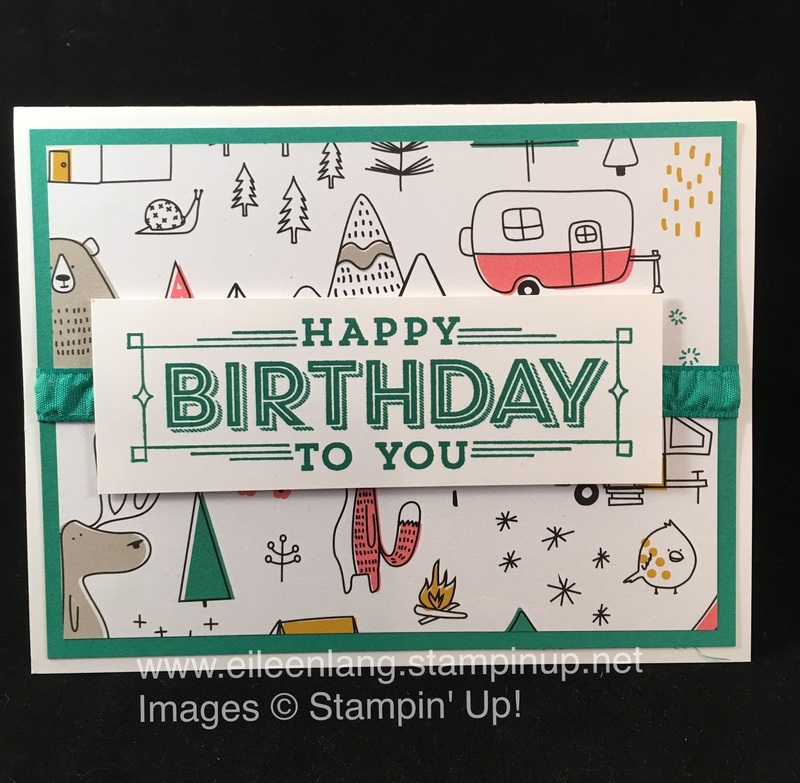 A quick card for a nice summer birthday.